Progressive lenses consist of multiple strength prescriptions for those who needvision correction at all distances. Progressive lenses make transitioning between activities as seamless and as easy as the transition between lens strengths. If you are on the lookout for a new pair of progressive lenses in the Hamilton area, Mountain Eye Care is here to help. Our facility offers a wide range of multifocal glasses and contact lenses for whatever your personal preference might be. Progressive lenses are multifocal lenses that incorporate multiple prescription strengths in three viewing areas- distance, intermediate, and near-vision- all without the noticeable lens lines of bifocal and trifocal lenses. This seamless design allows for the power of the lens to ‘progressively’ change. Typically, progressive glasses are prescribed for people over the age of 40, who would otherwise need three pairs of glasses to see at different distances, allowing for a convenient, all-in-one pair. The center of the lens, top-to-bottom is where the most precise vision can be had. The primary viewing section in a progressive lens is for distance, located at the top, while the bottom of the lens is for near vision, and an even smaller part in the middle of the lens is for intermediate vision. Comfortably complete your favourite distance-vision activities, like cruising down the back countries, or taking a stroll through the neighbourhood. Easily transition to your near-vision activities, like reading a book or surfing the web on your computer. Mountain Eye Care carries a wide selection of multifocal and progressive lenses and glasses, as well as multifocal contact lenses, for all of your visual aid needs. If this is your first time wearing progressive lenses, there is a noticeable adjustment time needed to feel entirely comfortable wearing this type of multifocal eyewear. We advise that you get used to your new glasses gradually, building up wear-time every day for the first few weeks. Wear your new progressive lenses 1 to 2 hours the first day upon obtaining them, from there, add 1 or 2 more hours a day, until you are comfortable. Remember, you will need to turn your head, moving your eyes up and down the lens to find the perfect spot for whatever activity you are focusing on. 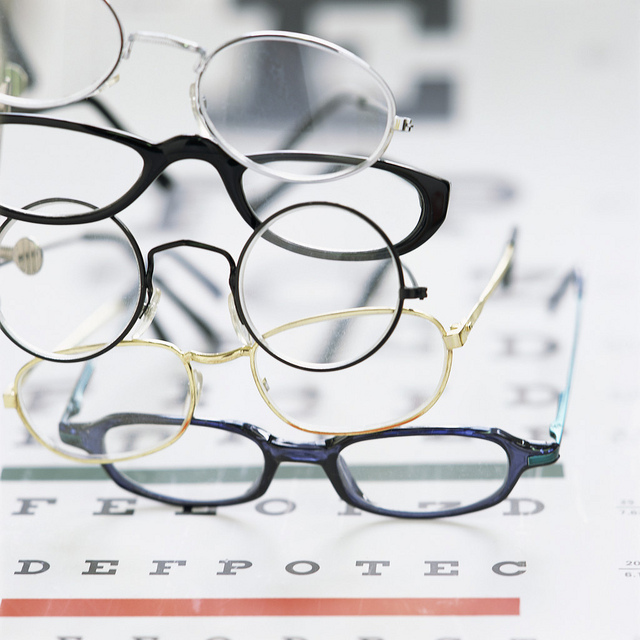 Experienced wearers will find that there is still an adjustment period for a new pair of glasses, even with the same prescription, as all progressive lenses are just a little bit different, depending on brand, design, frame, shape, and your eyes. Here at Mountain Eye Care, you will be able to find quality progressive lenses for your multifocal needs. Say goodbye to the hassle of multiple pairs of glasses, thanks to the seamless design of multifocal lenses.